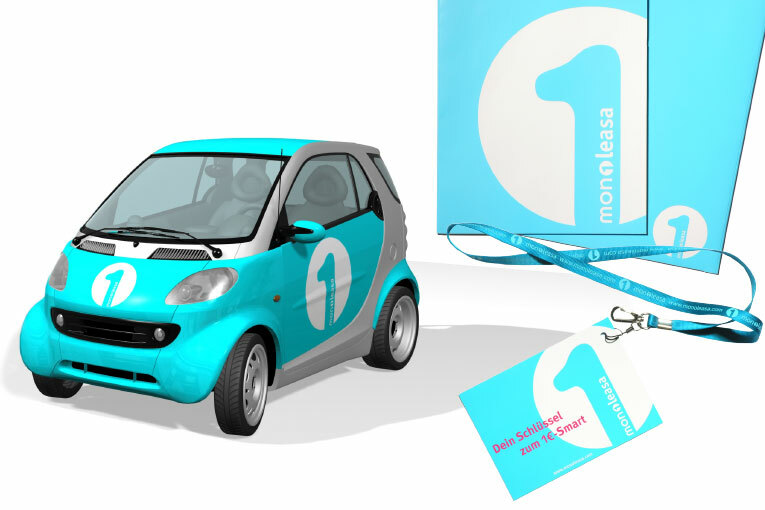 Monoleasa’s concept is simple and clever: Advertisers benefit from the attention value of the popular Smart car, and users can rent the nifty little vehicle for one euro a day. 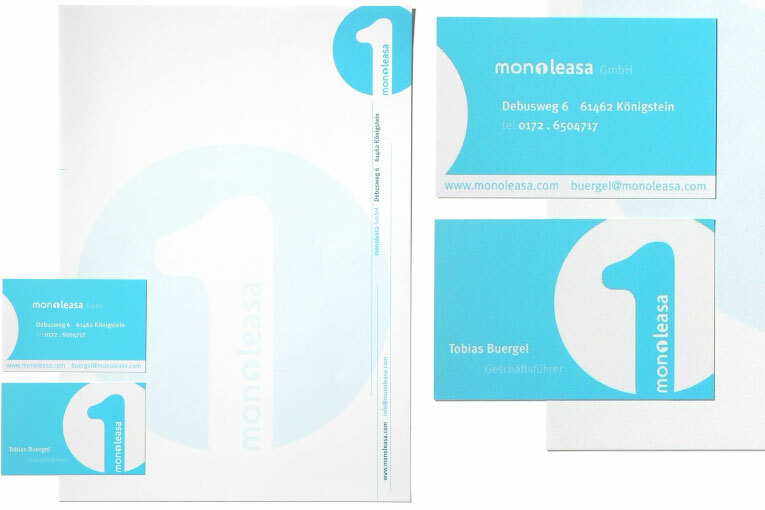 The corporate design also stands out. The basic colour of turquoise is complemented by petrol and rhodamine. The “1” logo is the focal point, combining the logotype of the 1 euro concept and recalling touring car numbers. The Smart cars can be booked via the website, which provides advertisers and leasers with cheerfully animated information.